What does it mean if your Star Sign is Aries? → Click here to read your Aries horoscope! Upside: Highly energetic, and has no problem working long hours on a single project. Often take the initiative experiencing new breakthroughs and discoveries. 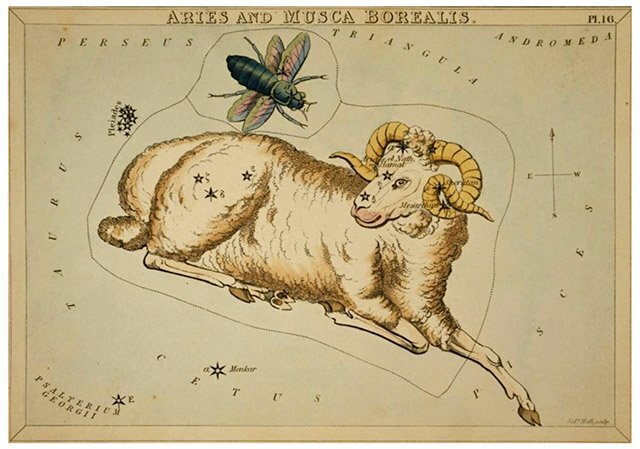 Aries are thorough, painstaking, and have a knack for precise records and clarity. They live hard, love hard, and play hard. Downside: Aries have tunnel vision when working on a project which can make them seem selfish. They can become impatient with those who are not similar to themselves temperamentally and intellectually. The dedication to a project can become stubbornness, possessiveness, and can lead to a withdrawn and sullen attitude. Many Aries who do not feel acknowledged for their accomplishments become sarcastic and rude. Other fire signs include Leo and Sagittarius.